This new design was inspired by the Italian Piazza (pi-az-za), an open public square and center of public life in many of Italy's towns. 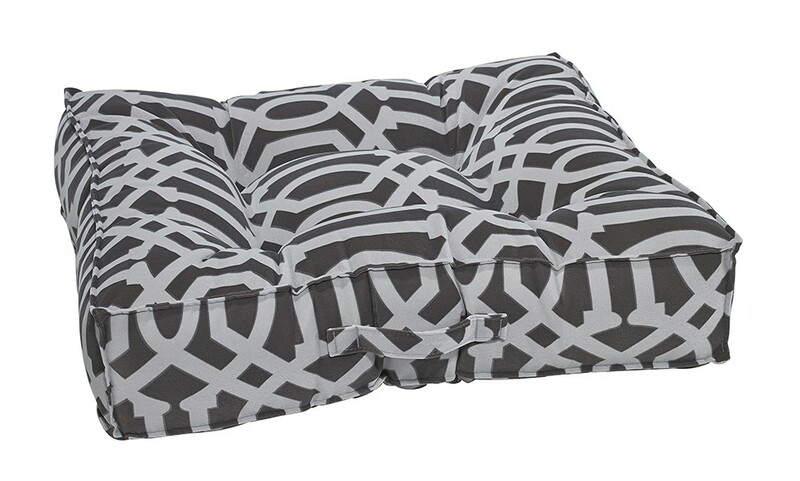 Dogs are sure to be drawn to the tufted square fibre topped foam center cushion and will be pampered with the plush overstuffed outer bolsters. The Piazza captures the sleek, space saving modern design of traditional flat cushions with the added security and comfort of removable bolsters. The cover features a convenient carry handle and is completely removable for washing and drying. 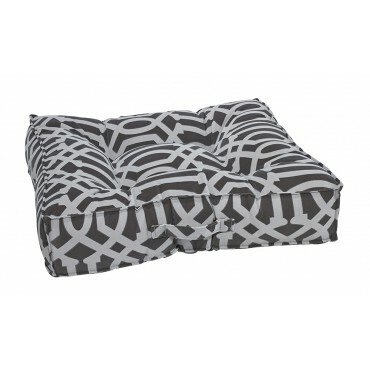 MED: 28"x28"x7", LRG: 34"x34"x7", XL: 40"x40"x7"
High Memory polyester fibre. Fibre topped foam center cushion. Unzip cover and remove inner cushion and bolsters. Rezip, machine wash cover on cool, gentle cycle. Tumble dry, cool setting.